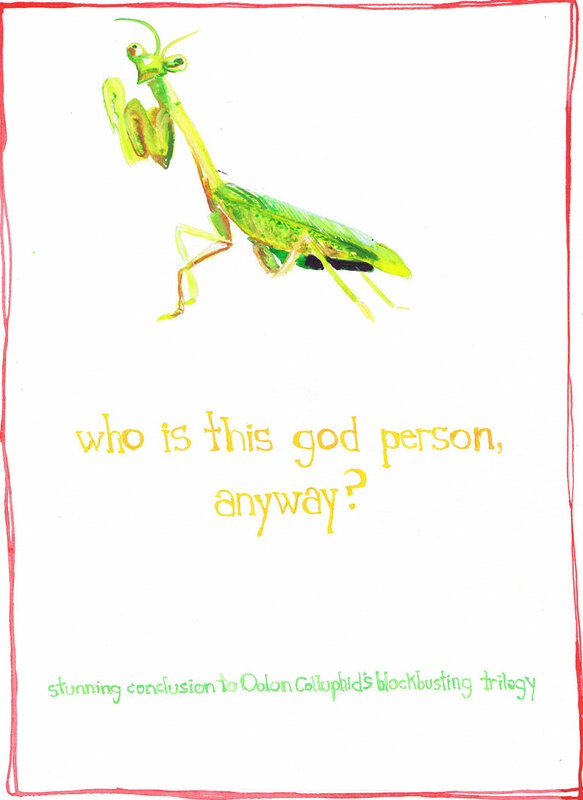 naomese - naomi bardoff's art blog: book cover project 2: Oolon Colluphid's trilogy, Where God Went Wrong, Some More of God's Greatest Mistakes, and Who Is This God Person Anyway? 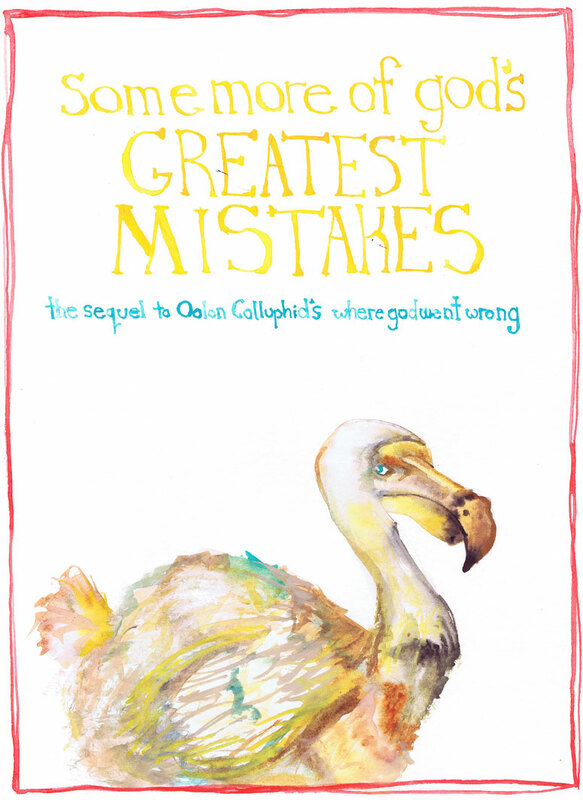 book cover project 2: Oolon Colluphid's trilogy, Where God Went Wrong, Some More of God's Greatest Mistakes, and Who Is This God Person Anyway? This is the story of The Hitch-Hiker’s Guide to the Galaxy. 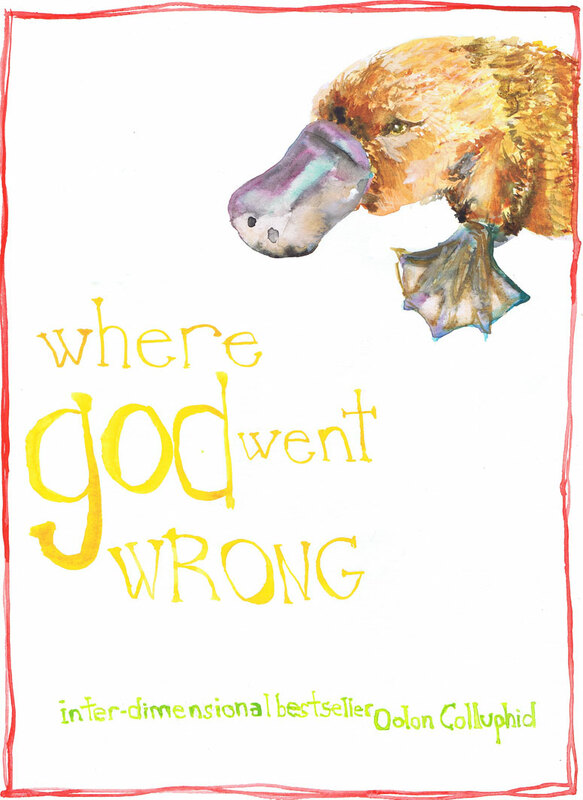 Perhaps the most remarkable, certainly the most successful book, ever to come out of the great publishing corporations of Ursa Minor. More popular than The Celestial Homecare Omnibus, better selling than Fifty-Three More Things To Do In Zero Gravity, and more controversial than Oolon Colluphid’s trilogy of philosophical blockbusters: Where God Went Wrong, Some More Of God's Greatest Mistakes, and Who Is This God Person Anyway?. I freaking love platypi, but they are often cited as a "mistake" of nature, so I chose a platypus as emblematic of where god "went wrong." My father suggested the dodo as another of god's greatest mistakes, and I picked the praying mantis to display the title's existential question. 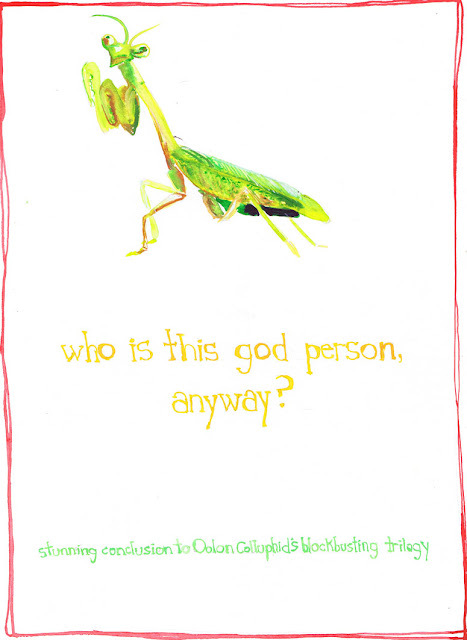 (The mantis is supposed to be staring upward, looking for a god who refuses to answer. The poor mantis.) Plus, this way, there are animals on all 3 covers. I haven't decided yet whether I'll make a cover for Oolon Colluphid's other famous novel, Well That About Wraps It Up For God, which describes how the existence of the Babel fish proves, and therefore disproves, the existence of god. For one thing, I'm not sure I can beat the memorable and hilarious depiction of the Babel fish that was in the recent live action adaptation of The Hitcchiker's Guide to the Galaxy. Fifty-Three More Things To Do In Zero Gravity may make an appearance though, we'll see!